Flaring activity was limited to one single C1.4 flare, originating from NOAA active region 2331 (Catania sunspot group 37), peaking at 20:57 UT. Flaring at the minor C level is expected over the next few days. A filament extending from N0E20 to N40E70 is currently crossing the solar disk. No Earth directed CMEs were observed. 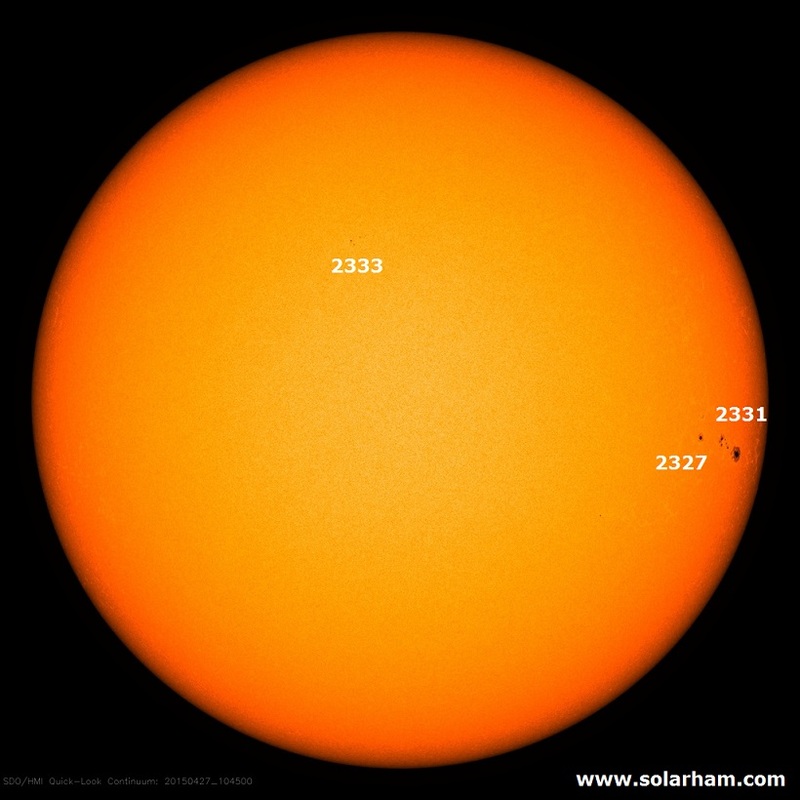 Earth is currently inside a slow solar wind (speed in the range 300-350 km/s). The magnitude of the interplanetary magnetic field (IMF) has slightly increased to 7nT, with currently a negative Bz. The phi angle was mainly positive, but turning to a negative orientation in the past few hours. The flow emanating from a recurrent equatorial coronal hole (currently crossing the central meridian) is expected to arrive within two to three days, which might result in an increased solar wind speed. Quiet to unsettled (local K=0 to 3) geomagnetic conditions were observed and are expected to remain so for the next 48 hours.